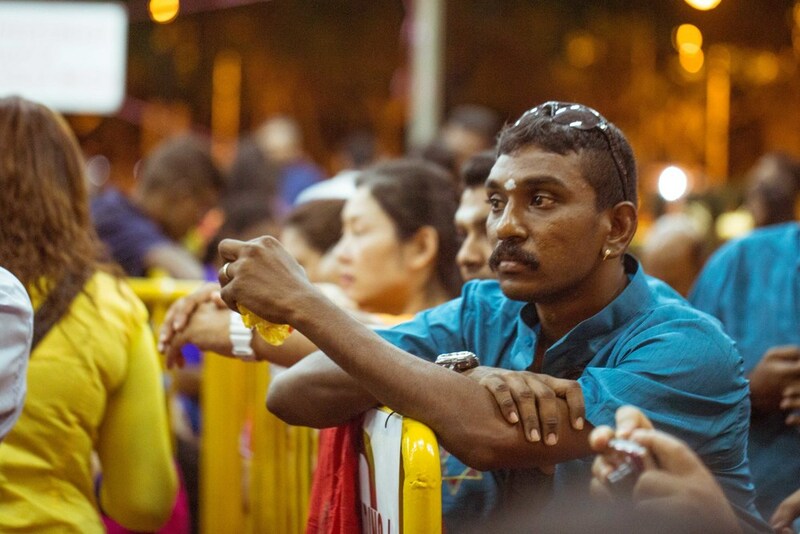 Thaipusam is a Hindu festival, celebrated by our Tamil community here. 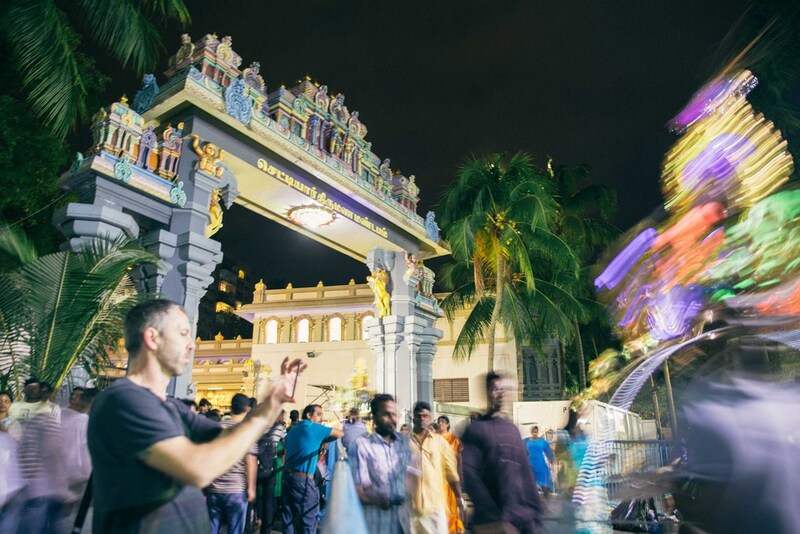 Over here, the ceremony starts in the early hours of the morning where devotees fulfill their vows with a 4.5 km walk from Sri Srinivasa Perumal Temple along Serangoon Road to Sri Thendayuthapani Temple on Tank Road. 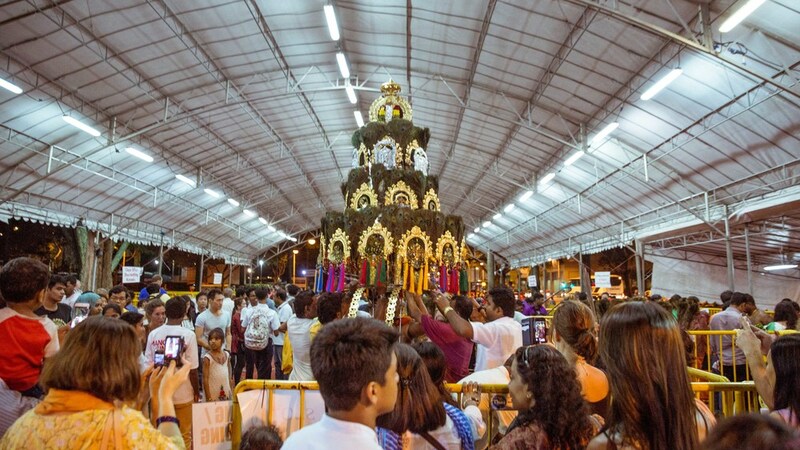 Devotees carry Kavadi, which consists of two semicircular pieces of wood or steel which are attached to a cross structure that can be balanced on the shoulders of a devotee. It is usually decorated with flowers, palm leaves and peacock feathers. 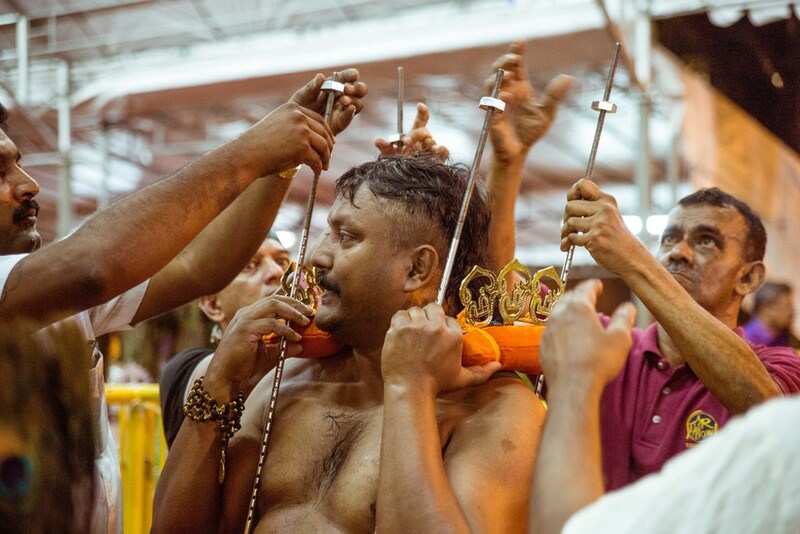 Devotees carrying spiked Kavadis, which require elaborate preparations, leave the temple in the later part of the morning and continue till night. 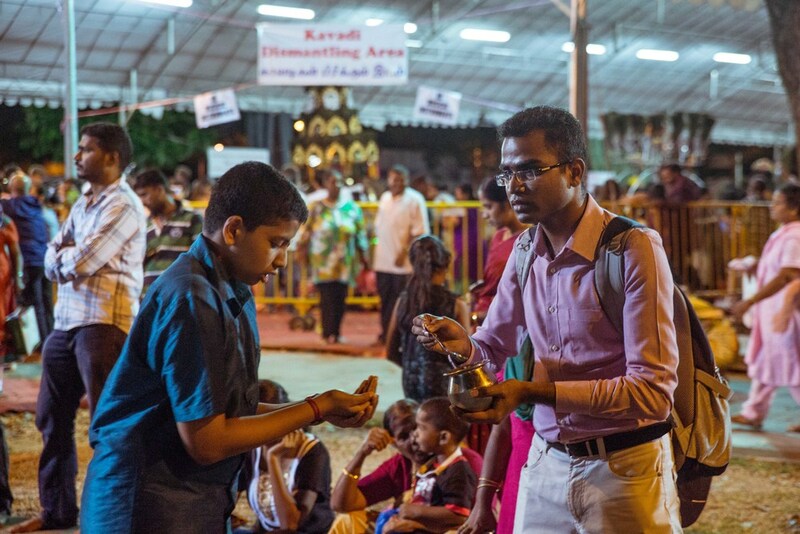 The devotees are usually accompanied by family members and friends supporting in the form of prayers and chants. So that was where I was 2 days ago, at Tank Road to document down the moment as devotees entered the temple at Tank Road and then eventually arriving at a huge tent set up nearby, where the dismantling will take place. It was my first time being on location looking at the celebration. It was indeed an eye-opener for me. I'm so glad and consider myself very lucky to grow up being surrounded by so many different cultures. It is not something I take for granted. For this series, I decided to present it in a slideshow format in the event any one reading this may feel uncomfortable looking at some parts of the celebration. A devotee walking towards the Kavadi dismantling area. Devotees entering and exiting the temple. Today, I was a tourist in my own city for 2.5 hours. Being restricted to a place for a longer period of time definitely forces me to look at the same things from different perspectives. I have never really realised this, but an amazing number of people actually did the 'open-your-mouth-like-you're-drinking-the-water-from-Merlion' thing and I am absolutely amused by that. I've been staying no more than 15 minutes away from this garden but have yet to explore it after more than a decade. Today I finally made my way there to do a little site recce for this Friday's shoot. It's a nice place for a morning jog or afternoon walk. While exploring, I came by some fancy trees and a bridge that literally really only takes 3 step to cross (yes I actually tried)!